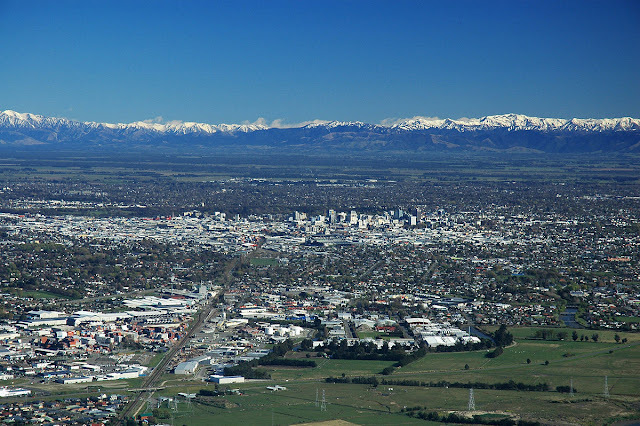 Christchurch is a city that is noted for the open spaces and the tree lined streets that make it such a beautiful place to visit, and as you would expect in such a city there are plenty of attractive and welcoming places to stay. Whether you are traveling on a budget or are looking for a luxurious getaway in sumptuous surroundings, there are hotels in Christchurch that rank among some of the best in the country. If you aren’t a fan of the color pink, then this certainly isn’t the place for you, but apart from the distinctive color of the exterior decor there is very little not to like at The Classic Villa. This small boutique hotel is conveniently located on Worcester Street Boulevard in a very artistic part of the city, and has a tastefully decorated interior that is sympathetic to the old building in which the hotel is located. The rooms are well appointed and come with the luxury beds and furnishings that you would expect in such a hotel, and also includes all the modern features such as a flat screen television and wireless internet access for guests. This is a hotel that is perfect for those who are coming to Christchurch to enjoy the finer things that New Zealand has to offer, and has two restaurants that offer bistro style dining and a specialist fish restaurant that is among the best in the city. Comfort is the byword here, with rooms that have sumptuous king size beds and rooms that are designed to be stylish as well as comfortable for guests staying there. The well stocked bar is perfect for a nightcap after a wonderful dinner, and the small details such as access to a nearby gymnasium, wonderful art on display and a complimentary teddy bear make this a very special place to stay, albeit one that comes with a price tag to match. The Chateau on the Park enjoys one of the best locations in Christchurch, with the large Hagley Park to the front, and the Mona Vale Gardens just around the corner. The Chateau itself has some great facilities for a city hotel, including an outdoor swimming pool and putting area, as well bicycle hire for those who are looking to explore the city on two wheels. The restaurant is quite competitively priced with good food, while all the rooms are comfortable with large beds, and come with bathrooms that are supplied with a delightful array of toiletries. The original All Seasons hotel in the city was one of the buildings that was badly damaged by the earthquake in 2011, but this replacement hotel is a bold and colorful place to stay that is well located in the center of the city. The bold colorful building used to be known as Hotel SO, and the rooms are compact but comfortable and have all of the conveniences you would expect as well as being quiet enough to get a good night’s sleep despite being right in the city center. The accommodation in the hotel is competitively priced and offers a cheap and cheerful place to stay that is a step above the backpacker hostels that are very popular here in Christchurch. The Argyle On The Park is another hotel that is aiming for travelers who are looking for quality accommodation at a reasonable price, and the rooms are comfortable and have the usual facilities such as a TV and even a small spa. One of the best features of the hotel is included in the name, and that is the fact that it is located over the road from the beautiful Hagley Park, which is one of the nicest areas in Christchurch to explore. There is off street parking and the beds even have electric blankets for those cold winter nights, which help to make this a hotel well worth considering when staying in the city.